Apple’s high-end iPhones have dual 12-megapixel cameras, an OLED display, and faster A12 Bionic chip. A cheaper, colorful version comes with an LCD screen. Finally! The wait is over now! It’s time to experience the world’s smartest phone ever and that is none other than Apple’s iPhone itself. Apple comes up with a gigantic launch in the form of its brand new iPhone’s series along with a new surprise for apple lovers in the form of Apple watch series 4. 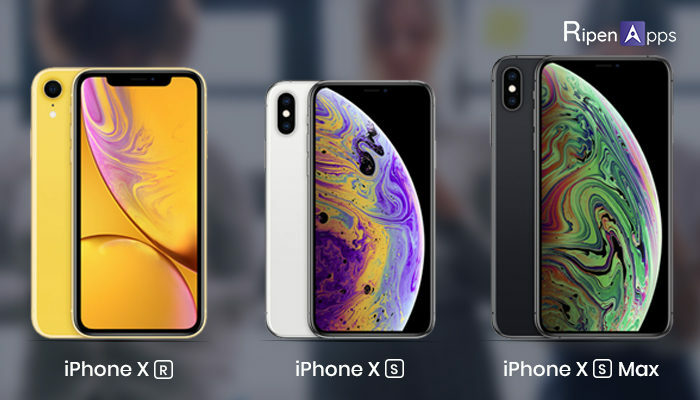 The iPhone XS, iPhone XS Max, and iPhone XR, Apple’s new iPhones for 2018, are officially here. While the iPhone XS and iPhone XS Max have virtually the same guts, just in two different sizes, the iPhone XR introduces a profound shift in Apple’s strategy by folding its “bargain” phone into the premium iPhone mix. The affordable iPhone XR shares many of the same specs as the top-tier iPhones, but comes in many bright colors and has some slimmed-down features, like a smaller battery than the new iPhone XS phones. The pricing is the most attractive for iPhone loyalists. Although there’s nothing “budget” about the iPhone XR’s $749 starting price, buyers looking for a new iPhone this year could easily gravitate for the cheaper, more colorful XR. 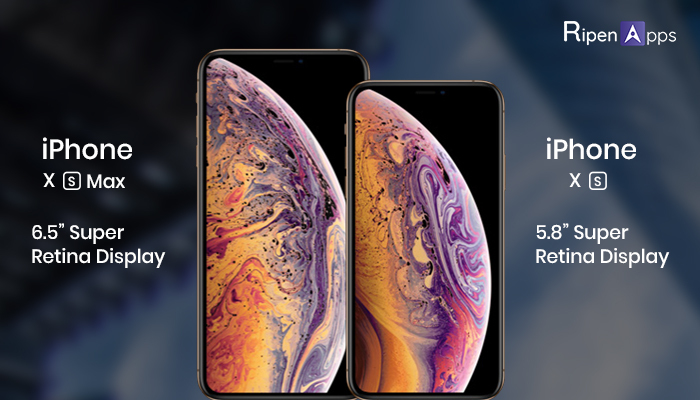 iPhone XS with 5.8-inch (458ppi) and iPhone XS Max with 6.5-inch (458ppi) with OLED HDR display (Super Retina displays). Gold, Silver and Space Grey finishing. Dual camera 12-megapixel wide and telephoto lenses. The 7-megapixel camera will bring depth to portrait mode photos. A12 Bionic chip, 7nm (nanometer) processor promises to launch apps 30 percent faster than 2017 iPhones. Rating (two meters for up to 30 minutes in water). iPhone XS should last 30 minutes longer than iPhone X; iPhone XS Max claims 1.5 hours longer than the iPhone X.
Dual-SIM card support through e-SIM technology. Promises to work faster at unlocking the phones. Stereo sound with a wider stereo field than 2017 iPhones. The iPhone XS and XS Max cameras share the same specs, but don’t be disappointed. 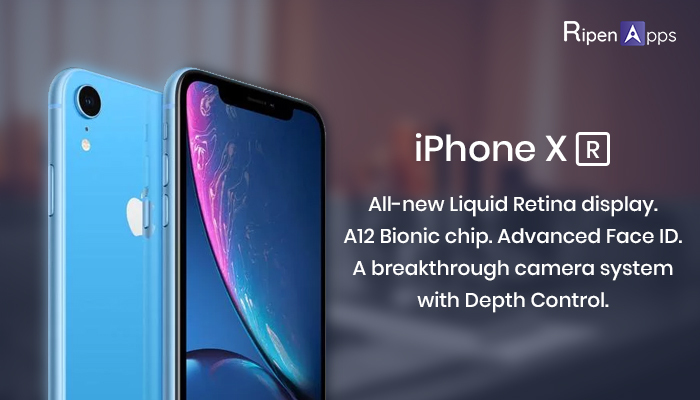 Apple promises you’ll get more from the camera than you did with the iPhone X, specifically because of the power of the A12 Bionic chip inside. The camera’s algorithms detect people’s faces and bodies and kick into instant red-eye reduction. Smart HDR can identify highlights and find the shadow detail. Even more interesting, you can now adjust the depth of a portrait mode photo (called the Bokeh effect) after you take the photo, which gives you complete control over the blur. All editing happens in the Photos app through a slider. 6.1-inch LCD screen with 1,792×828 resolution and 326ppi (Retina display). Aluminum body with glass back. Single camera: 12-megapixel wide-angle lens, with IOS (same as iPhone XS). Portrait mode photos through software. FaceID with same True-Depth camera system as iPhone XS. Battery life claim: 1.5 hours more per day than the iPhone 8 Plus. Now 3D Touch on iPhone XR, Instead, you get the haptic touch, like a trackpad. Blue, coral, yellow, white, black, Project Red. Keep reading for all the new iPhone specs. In the meantime, preorders for the iPhone XS and XS Max begin this Friday, Sept. 14, with phones going on sale next Friday, Sept. 21. The iPhone XR preorders begin Oct. 19 and go on sale Oct. 26. For more technology news & event updates visit RipenApps Official Blog. Feel free to write us at info@ripenapps.com.